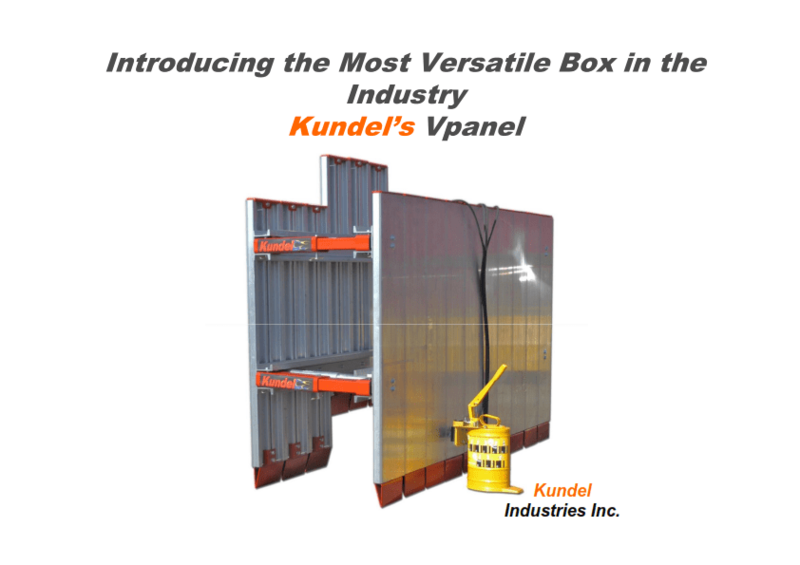 The Kundel V-Panel aluminum trench box is very light and therefore, easy to lift. 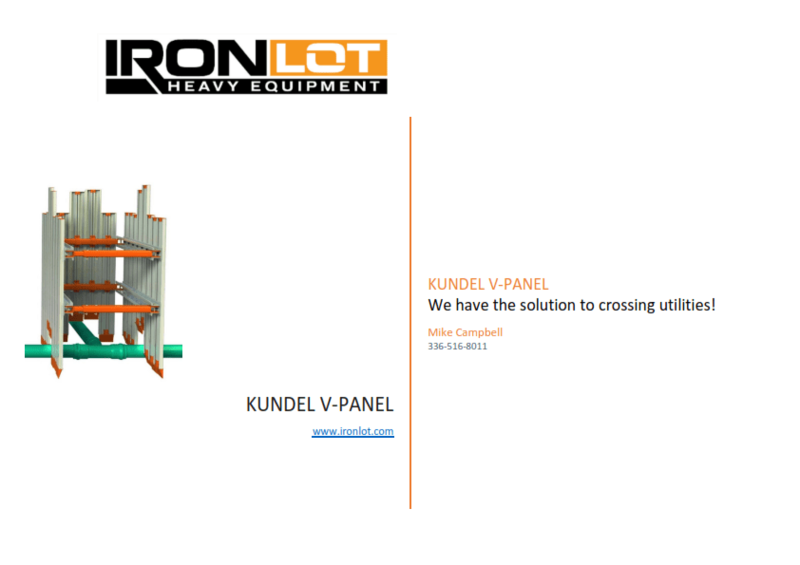 Because it is light, the V-Panel is easily moved around the job site. Each panel moves independently of the other. This feature allows the panels to be adjusted, therefore allowing them to fit around existing utilities or T-off from your main line. 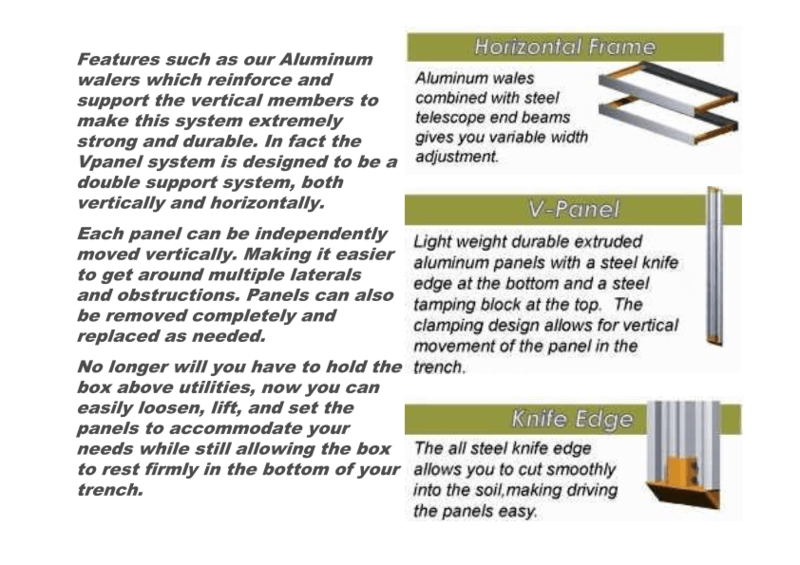 Each aluminum panel has a steel tamping pad and steel knife edge. 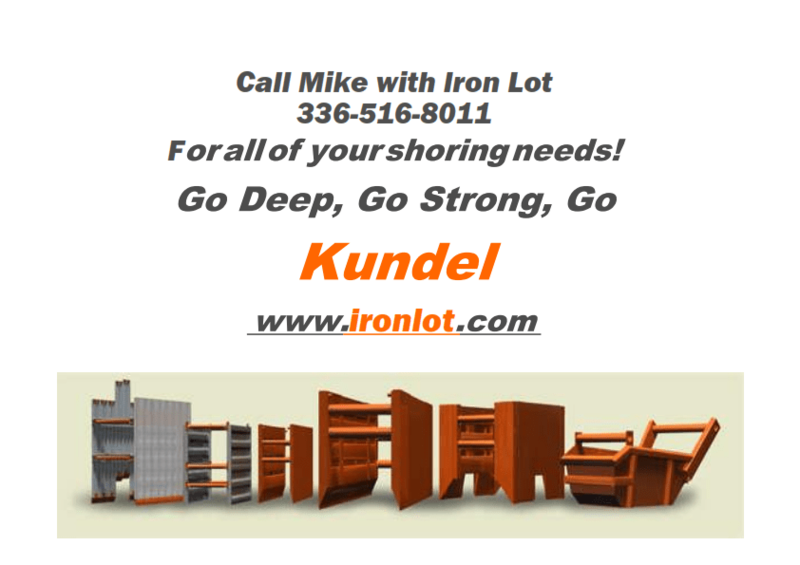 Kundel V-Panel Aluminum Shoring Systems are available in 6′ to 16′ lengths and a height up to 12′. 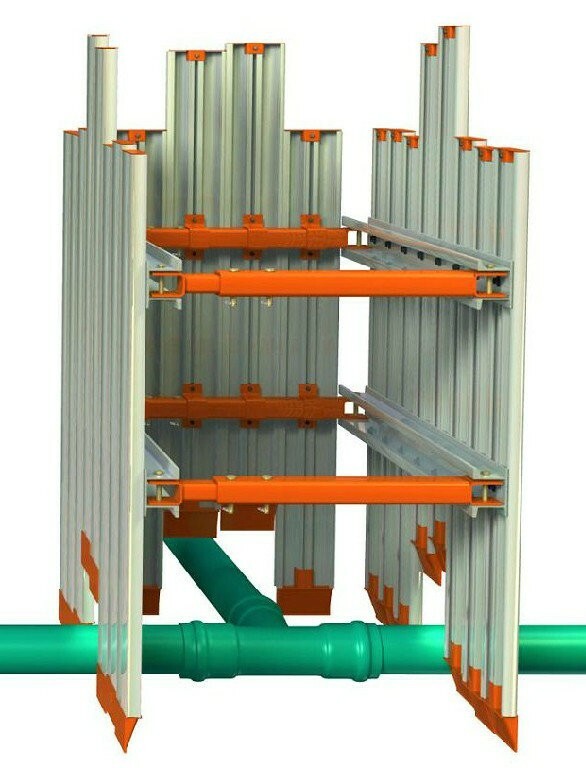 The aluminum shoring system can be configured as a two, three or four sided box. Each individual panel also, is able to be raised or lowered from inside the trench. Additionally, the knife edge and tamping pad are attachable and detachable. Aluminum Walers with steel telescoping end beams allow for variable widths. 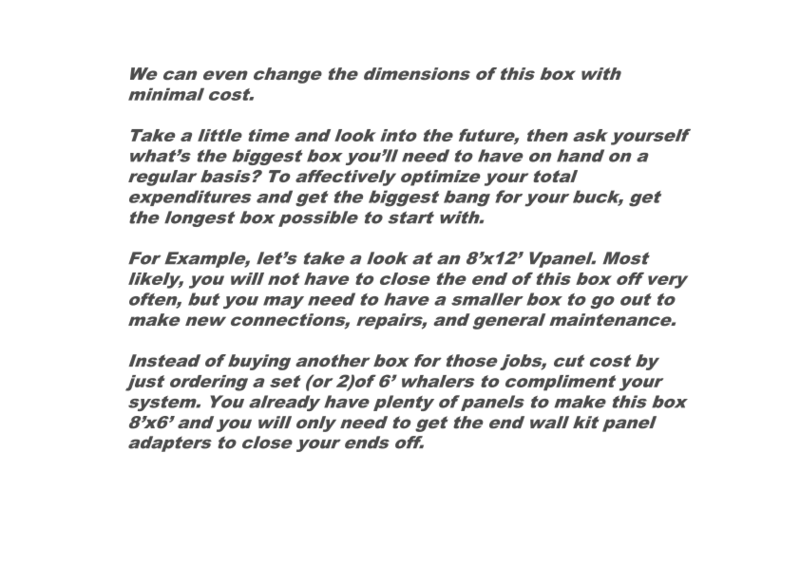 This is the must have box for municipalities and utilities contractors. 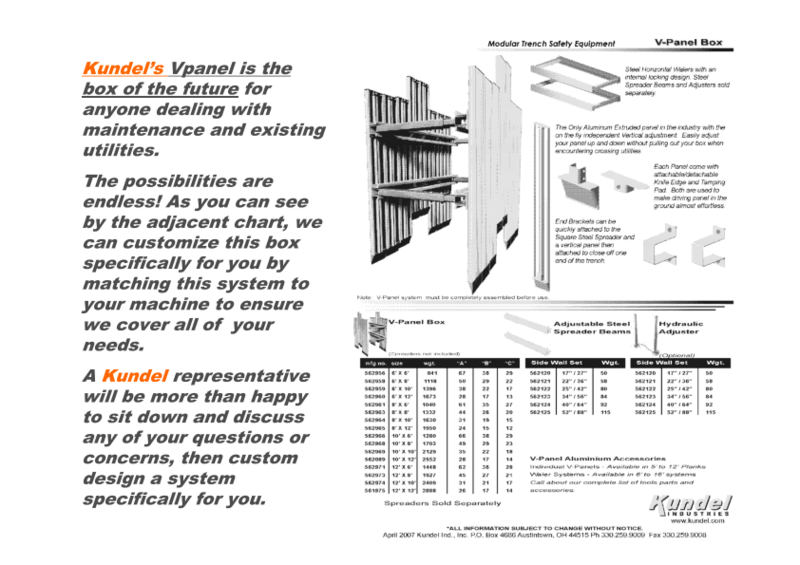 Please see the V-Panel brochure below, or click on the link to download a PDF copy of the brochure. 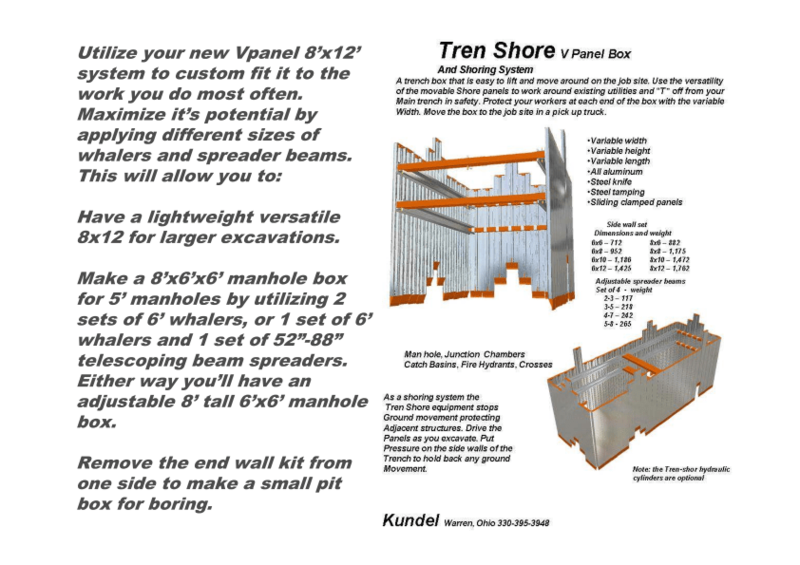 Vpanel end wall kits are available to turn your two sided box into a 3 or 4 sided trench box. 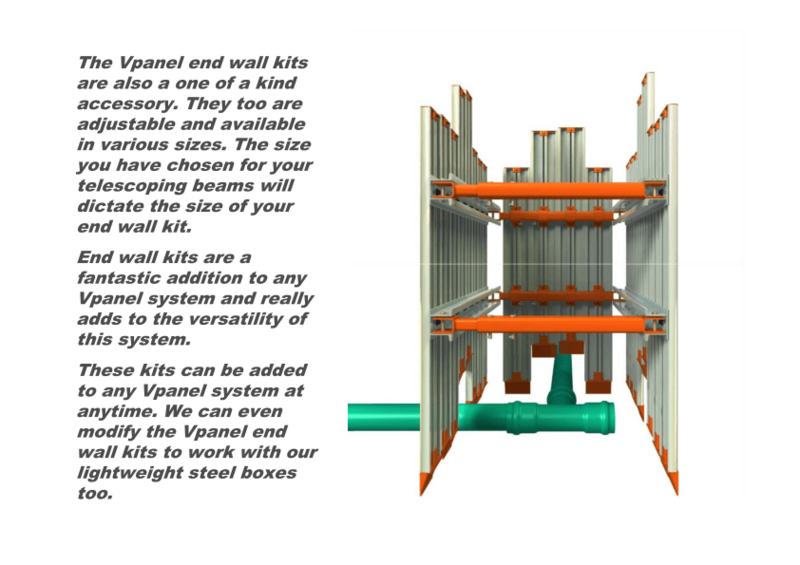 V-Panel end wall kits are sold separately by Iron Lot. The Vpanel is P.E. 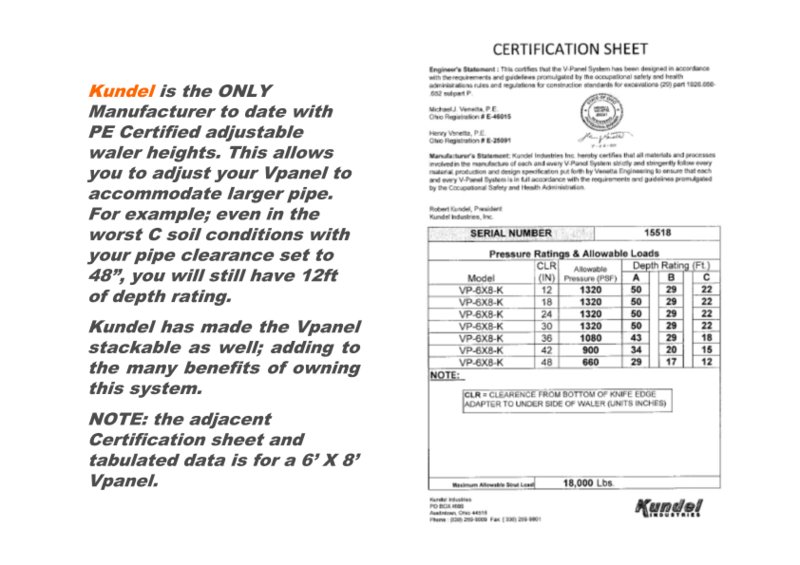 Certified to meet or exceed OSHA standards. 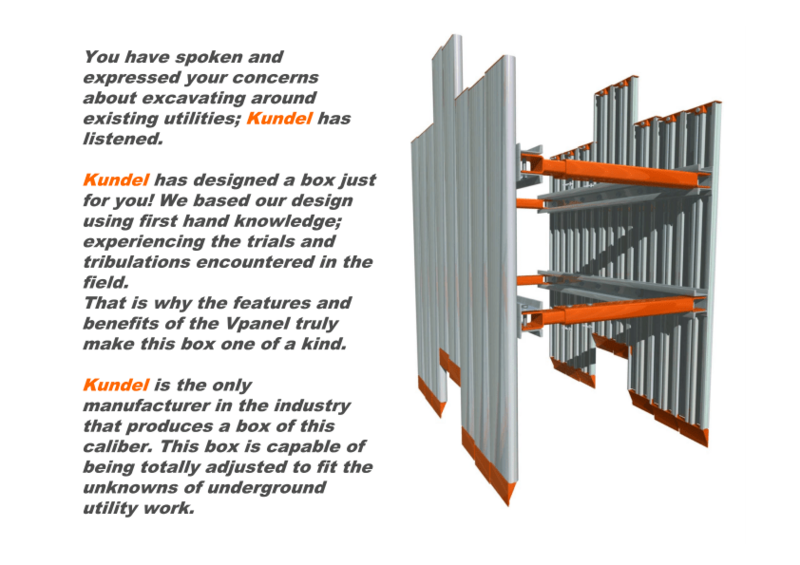 The Kundel Vpanel Trench Box comes standard with steel pounding pads and knife edges. 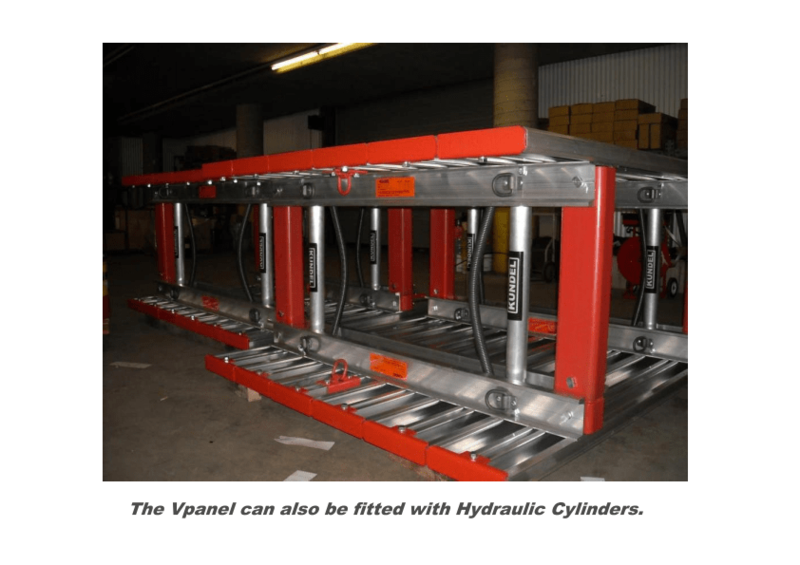 The box can be fitted with hydraulic cylinders. 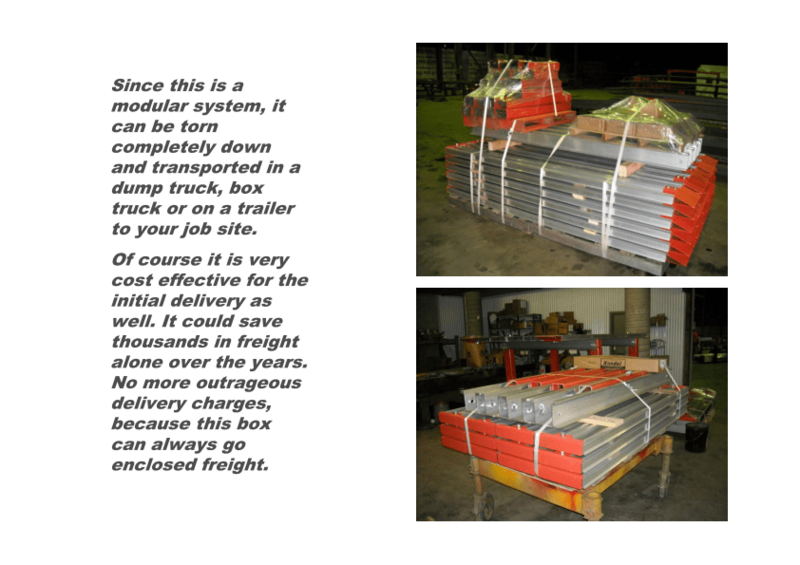 The Vpanel is a completely modular trench box system and can be transported in a dump truck, box truck, or trailer.